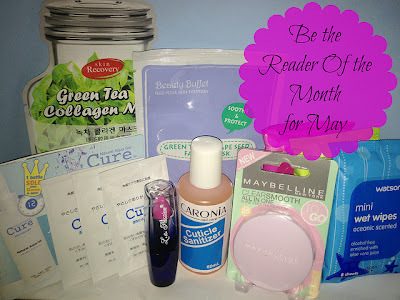 I apologize for the late announcement of IamJenniya's Reader of the Month for May. I am very busy working, actually until now. These past few weeks, I've been working on a deal that really needs my attention. That explains why I do not have beauty related posts such as reviews and nail posts. That kind of posts needs time to draft and of course, I have to edit and watermark the pictures. I was only able to post Romwe's activity because those posts are very easy to draft like 1, 2, 3. By the way, were you able to grab the latest Romwe sale? If you haven't, click here. Moving on, I really appreciate all who have dropped love on my posts. It bring happiness every time I saw comments waiting for my approval and believe me, it made me smile once I read it and I felt relieve when I hit "publish". I don't know why but it really feels great to know there are people reading my blog. Please hit the "Contact" button below my header and send me your shipping details. Again, I thank all my readers especially those who leave sweet and sensible comments on my posts. I hope you will still continue to support my blog. so much for dropping by in my blog. Great post, congrats to the winner! I can't believe I won these awesome prizes!Yehey! I'm sending you my shipping details now Ate Jen..
Oh, but even without your ROM ATe Jen your blog is always worth reading..Somebody will always learn and discover something new when they read it.I'm so glad to have followed you. 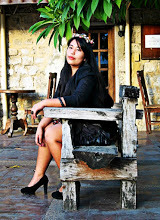 Your blog is a must follow, everyone one will be lucky to visit your blog. Very nice! congrats to the winner!